Are you considering an unpaid or low paying internship for summer 2019? 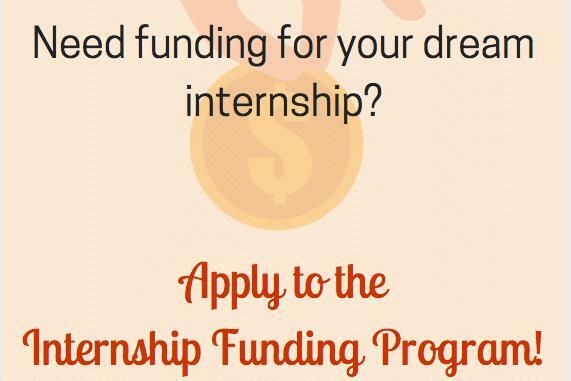 Or are you seeking ways to fund your summer internship or research project? If so, be sure to attend one of the upcoming information sessions about the Career Center's Internship Funding Program. During these sessions, information on the application process, qualification requirements and award timeline will be shared. Sessions are open to first-year - junior level undergraduate students. **Register for this session by clicking More Event Information below.